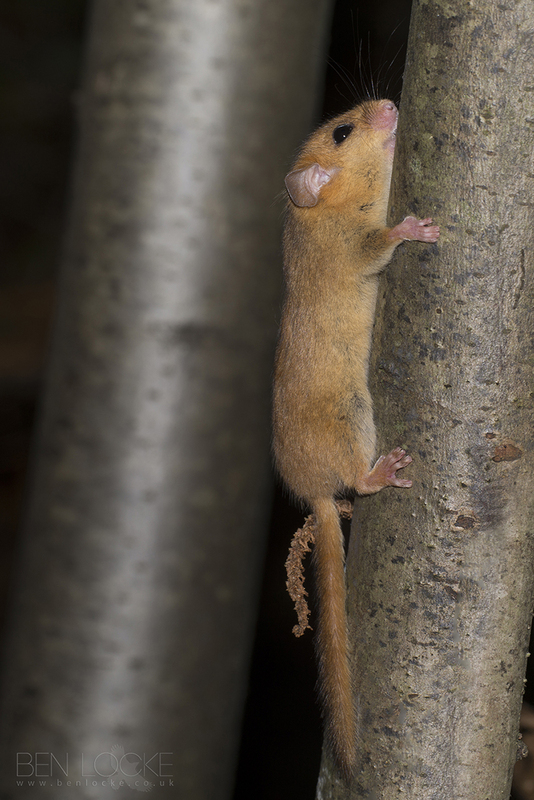 A Hazel Dormouse in the Forest of Dean photographed back in September. Dormice feed high up in the trees on a variety of food. They eat flowers and pollen during the spring, fruit in summer and nuts, particularly hazel nuts, in autumn. It is thought that insects are taken too. This variety of food must be available within a small area, a requirement which limits the suitability of some sites for dormice.